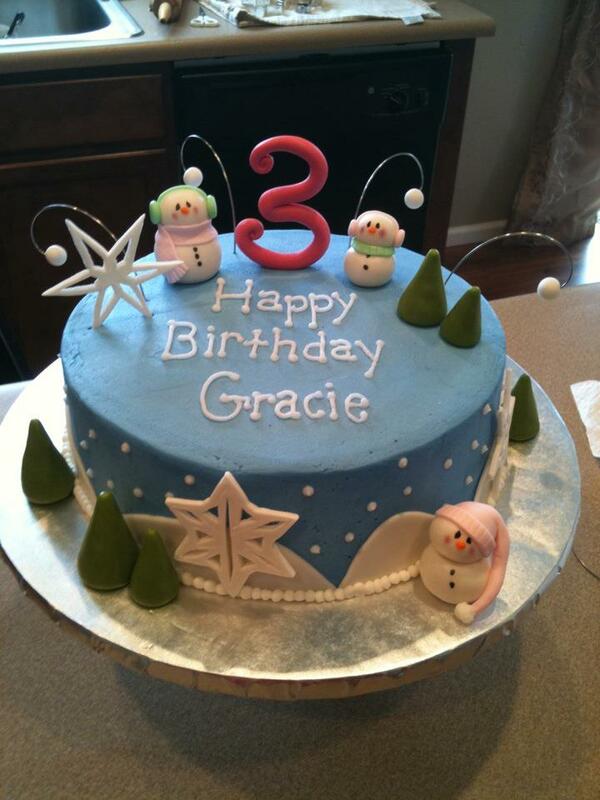 I just thought the snowmen on this cake were too adorable. I think one of them got eaten but I kept the other two long after we ate the cake. I think I might have had just a little bit too much going on with this one, but I still thought it was really cute.